The Sepoy Mutiny of 1857-1858 was a major turning point in the development of India’s social and political movements that paved the way for the emergence of a sovereign nation. 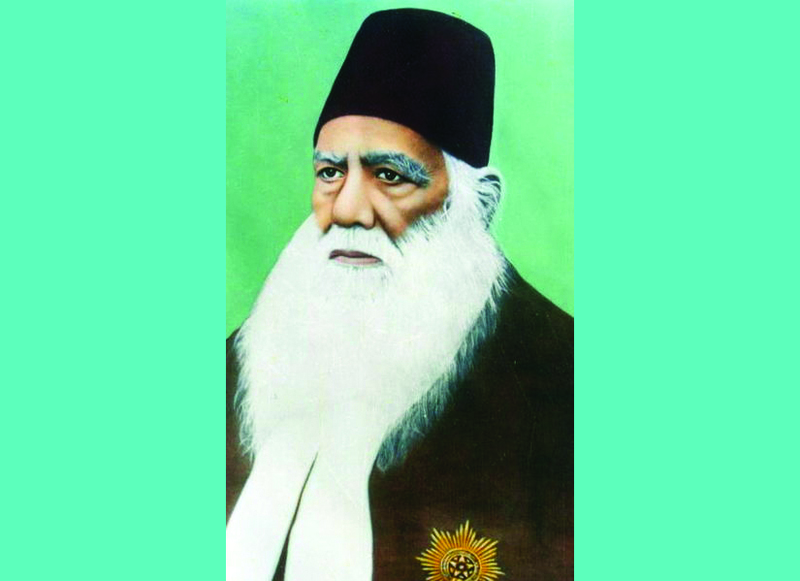 Muslim reformer Syed Ahmed Khan, one of the architects of this modern India, provided a mediatory discourse between Western modernity and traditional Islam and is the focus of research by Khurram Hussain. Hussain, assistant professor of religion studies and a member of the Center for Global Islamic Studies, focuses on the period just after 1857, and Khan’s reaction and writings following the rebellion. In particular, he examines Khan’s role in providing a mediatory dialogue between Western modernity and traditional Islam. In the aftermath of the mutiny, Governor General Charles Canning asked whether the Muslims were bound by their faith to rebel against the Queen, and Khan’s career is a response to that question, says Hussain. Khan was a mediating figure, says Hussain. He sought to have a dialogue with the British while at the same time conversing with Indian Muslims and his writings provide a model for developing a conversation between Islam and the West. Khan integrated Western science with the traditions of Islam when he founded the Muhammadan Anglo-Oriental College, and Hussain finds connections can be made to modern discussions. “He was trying to get the language of science mixed in with the language of Islam so that you could learn them together rather than thinking of them as separate things," he says. Most Western literature focuses on question of whether Islam is commensurable with Western modernity, and doing so creates incomplete understandings of the Islamic perspective, he argues.